Joseph held no animosity toward his brothers. He could see how God had used his life to bring a great deliverance. Joseph explained to his bewildered brothers that God had ordained his descent into Egypt in order to “preserve life” and “to preserve a remnant.” (Genesis 45:5). Joseph goes on to state that, “God sent me before you to preserve for you a remnant in the earth, and to keep you alive by a great deliverance” (Genesis 45:7). When Joseph is understood as foreshadowing the work of Messiah, a similar statement may be made. Yeshua’s brothers the Jewish people rejected Him, but God ordained that rejection to accomplish a great deliverance. Paul seems to have read Joseph’s story in this light as well. In Romans 11, he struggled with the difficult question of Israel’s rejection of Yeshua. Though he did not directly invoke Joseph as an analogy, he seems to have alluded to it in a few places in this discussion. For example, he pointed out that Israel’s rejection of Messiah has meant riches for the world. 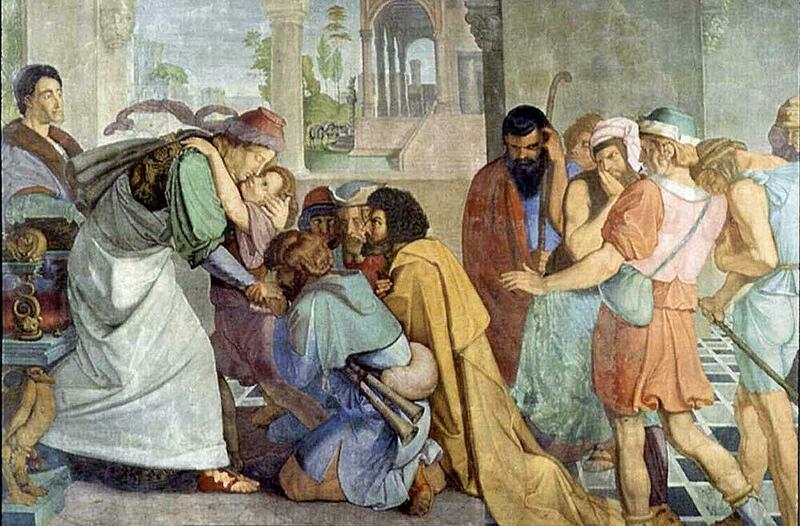 The brothers’ rejection of Joseph resulted in riches for the famine-stricken world of Joseph’s day. Similarly, Paul pointed out that Israel’s ultimate reconciliation with the Messiah will be “life from the dead.” Joseph said, “God sent me before you to preserve life (lemicheyah, למחיה).” Jewish liturgy typically uses the same Hebrew word for the resurrection of the dead.